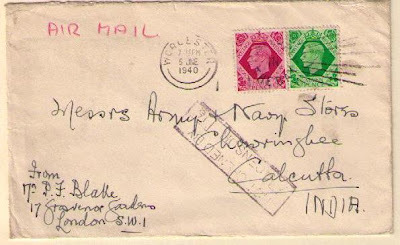 British international air mail rates during the war period are difficult to organize in a coherent manner since a wide range of rates were in effect, and more than one rate may have applied to the same destination depending upon the route requested and/or carrier. 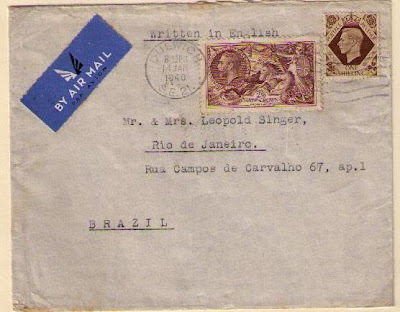 The purpose of this article is to show representative air mail rates. 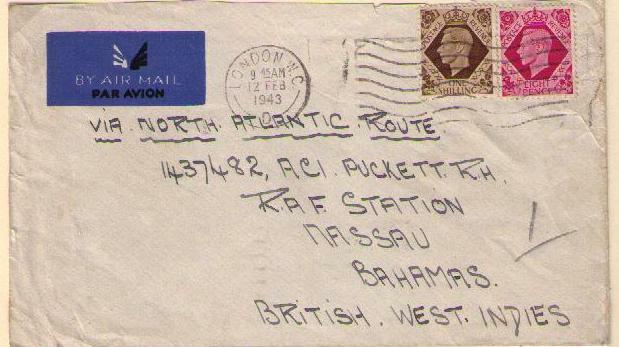 Routes will be mentioned but will be topics for future articles. 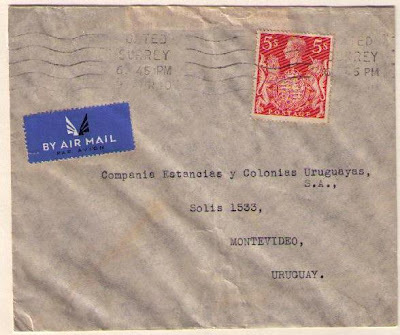 Since the Empire Air Mail Scheme was ended on September 3, 1939, imperial destinations are included in this article. 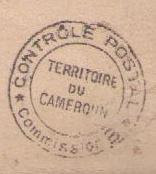 The air mail rate via France was 5/- per one-half ounce. 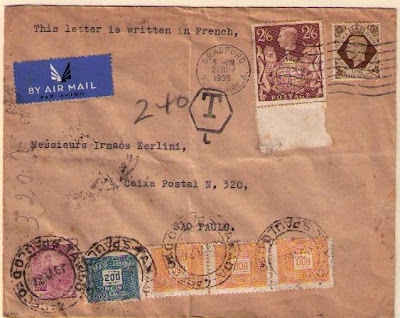 The air mail route via France was suspended due to the fall of France. Air mail service to Argentina was re-introduced via the United States. 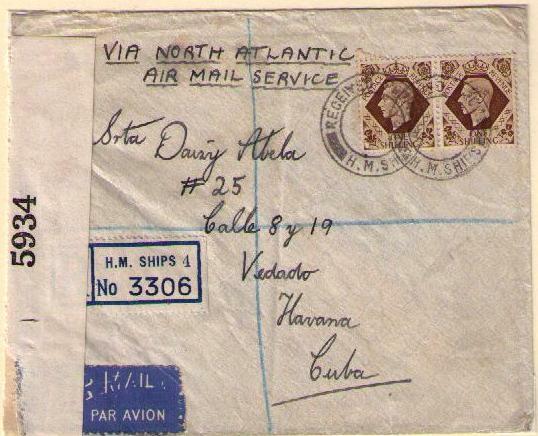 The rate by sea to New York then by air was 2/3d. per one-half ounce. The air mail rate for air throughout via the United States was 3/6d. 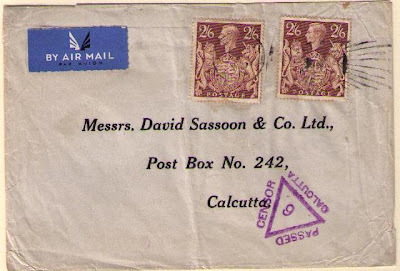 per one half ounce. 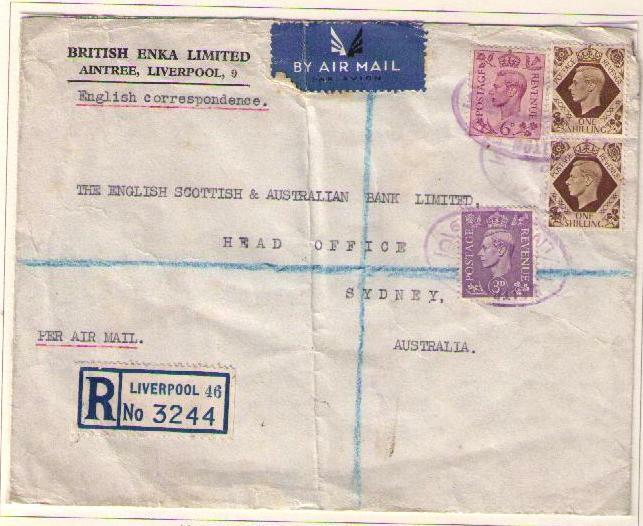 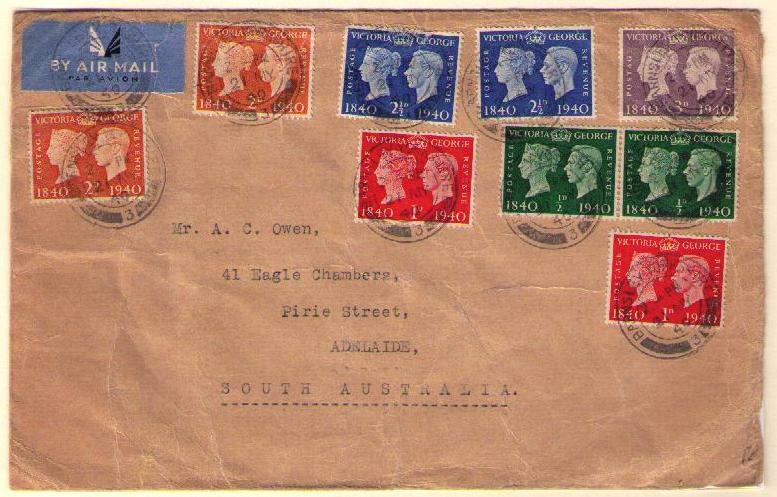 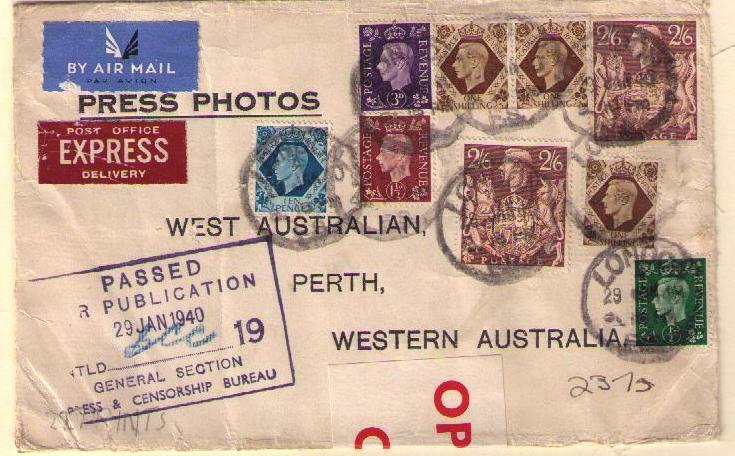 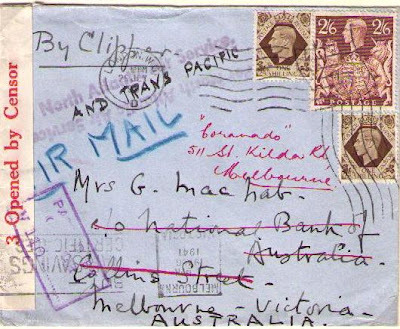 The air mail letter rate to Australia was 1/3d. The rate by Transatlantic and Transpacific air services was 4/6d. 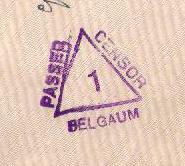 per one-half ounce. 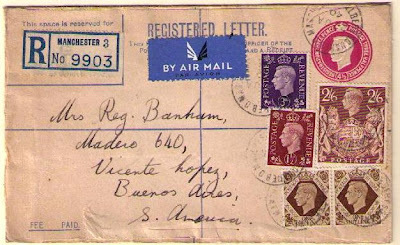 After Italy entered World War II on June 10, 1940, mail could no longer be flown between Great Britain and Egypt via the Mediterranean. 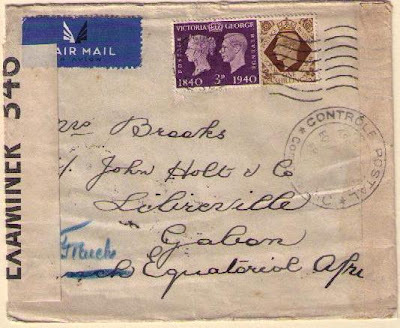 A new route known as "The Horseshoe Route" was introduced Mail was first transported by ship to Durban, South Africa, then flown to Australia. 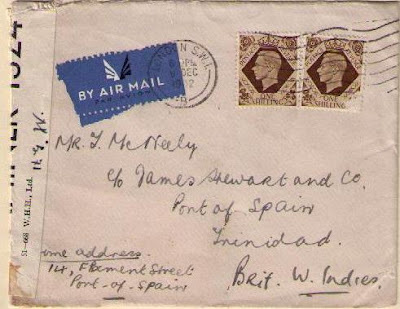 The air mail rate was 1/8d. 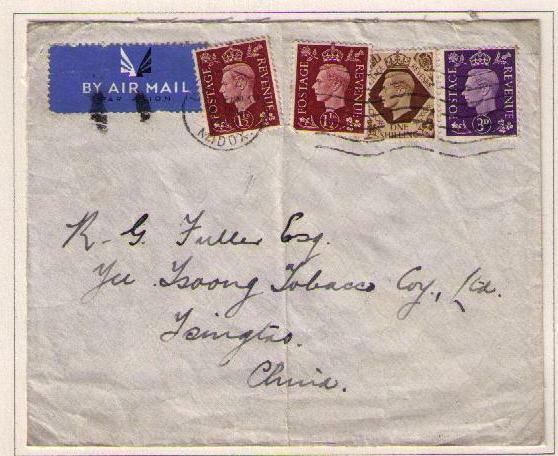 per one-half ounce for air throughout. Carried by French airline Air Afrique to Brazzaville, French Middle Congo, then to Stanleyville, Belgian Congo by Sabena air lines. 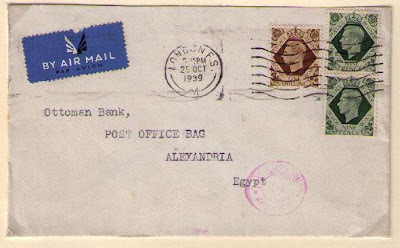 The rate was 1/3d. 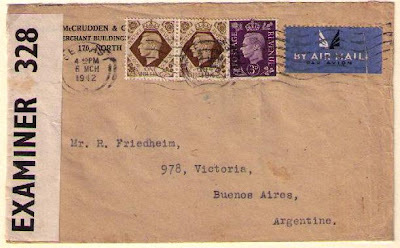 per one-half ounce. 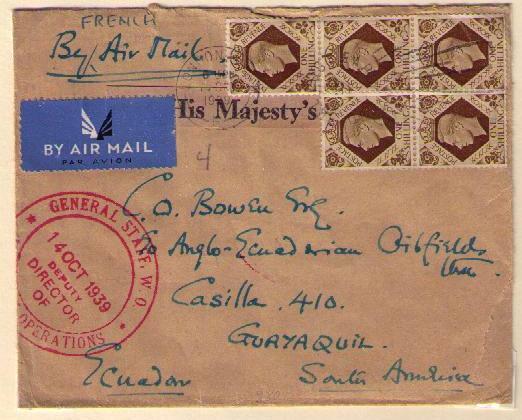 The air mail rate was 2/9d. per one-half ounce for air throughout. 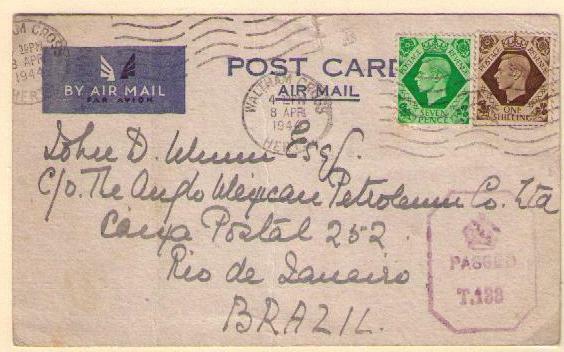 The air mail rate was 2/3d. 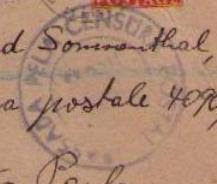 per one-half ounce. 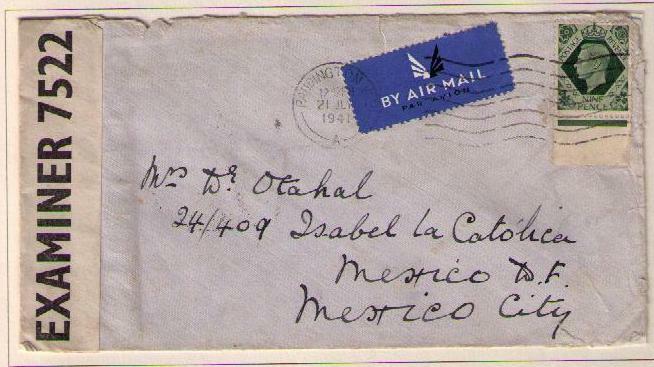 The air mail rate was 2/3d. 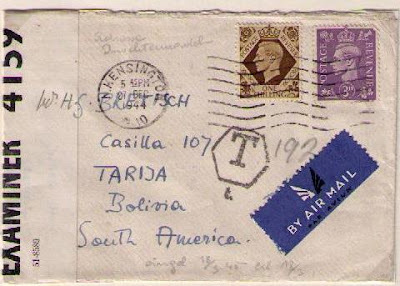 per one-half ounce for surface to New York then air. 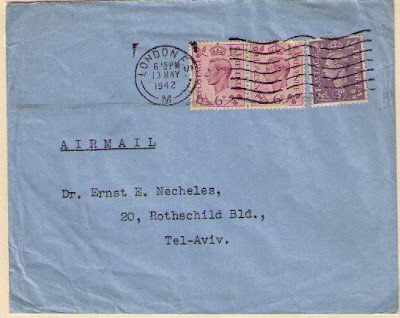 The air mail rate was 3/6d. 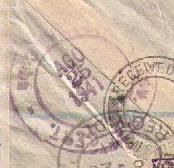 per one-half ounce for air throughout via New York. 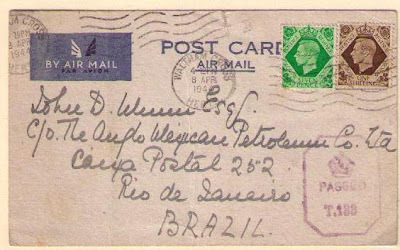 The post card rate was 1/7d. The air mail rate was 4/6d. per one-half ounce for air throughout via France. 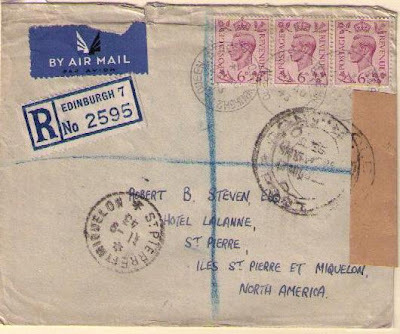 The air mail rate was 2/6d. per one-half ounce for air throughout via New York. 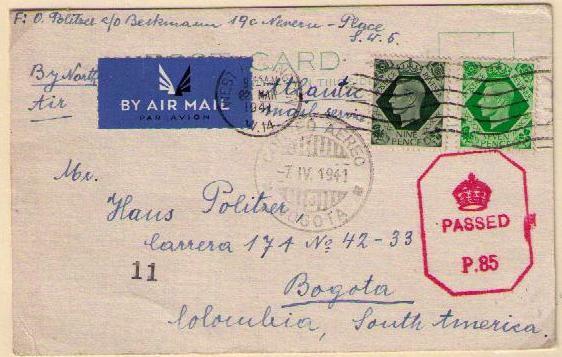 The post card rate was 1/3d. 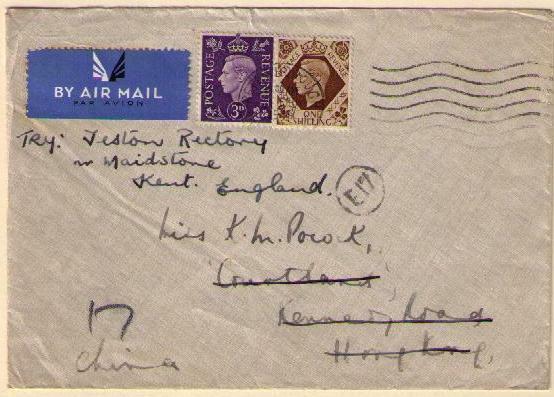 The air mail letter rate to China was 1/6d. per one-half ounce. 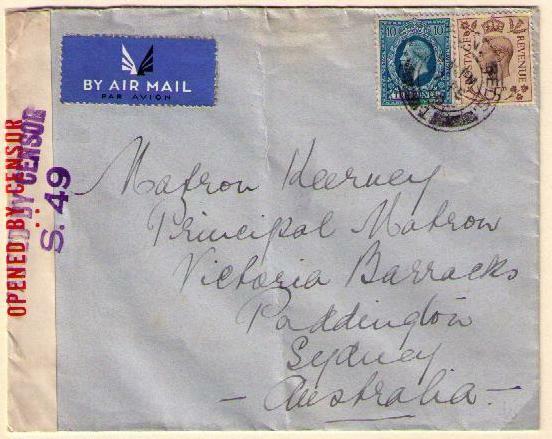 The letter rate was 2/9d. 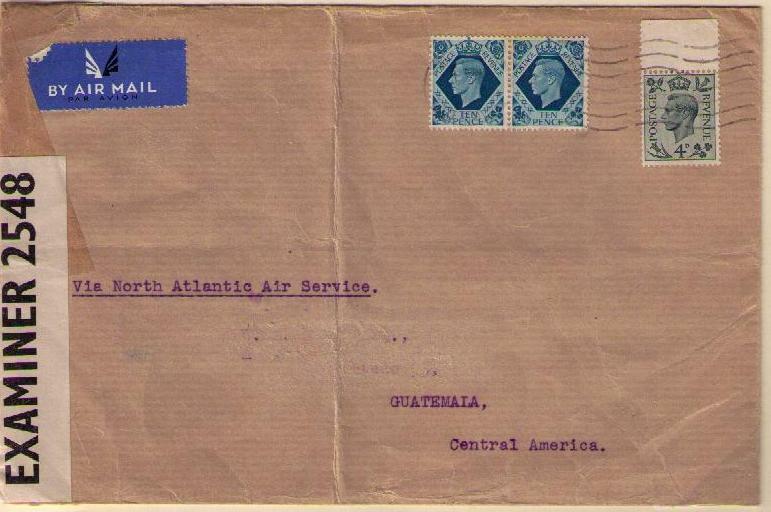 The rate for sea to New York then air service was 1/3d. per one-half ounce. The rate was 1/9d. for air throughout service to Cuba. 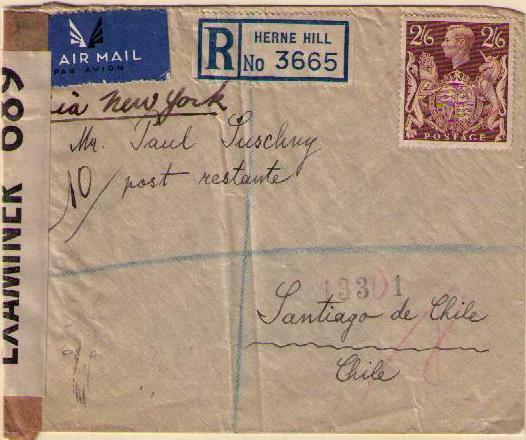 The air mail rate for sea to New York then air was 1/6d. per one-half ounce. 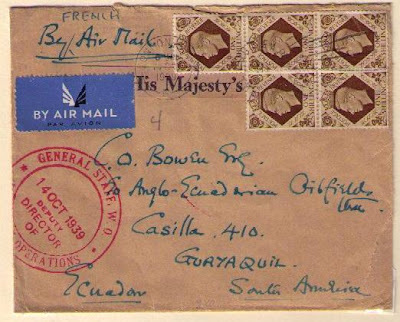 The air mail rate was 2/9d. 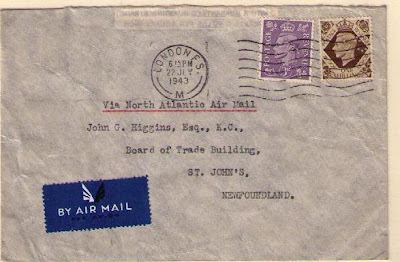 per one-half ounce for air service throughout via North Atlantic air service. The air mail rate for surface to Durban then by air was 1/3d. 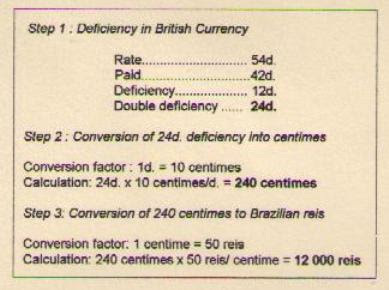 per one-half ounce. 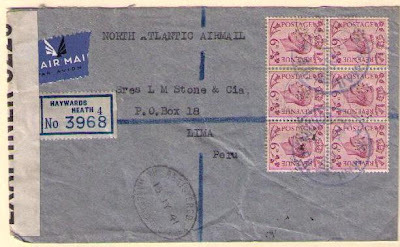 Rate = 10 1/2 oz. 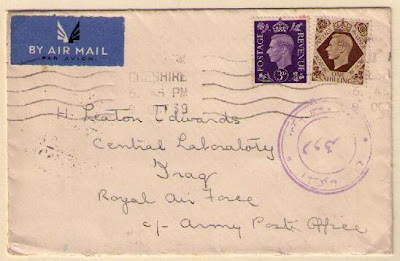 x 1/3d./1/2 ounce = 1/6/3d. 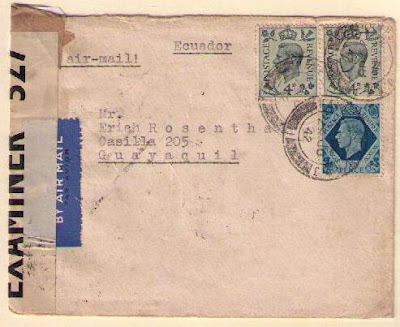 The rate for air mail throughout was 1/3d. The rate was 2/- for air throughout service to Guatemala. 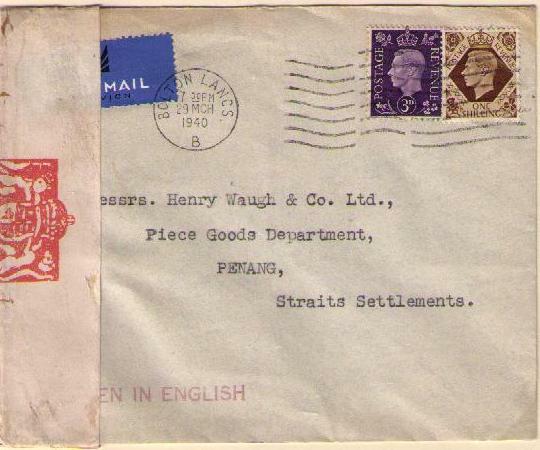 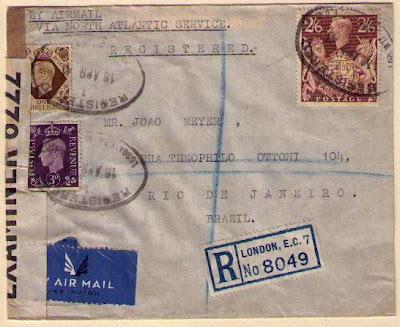 The air mail rate for surface to Durban then by air to Hong Kong was 1/3d. 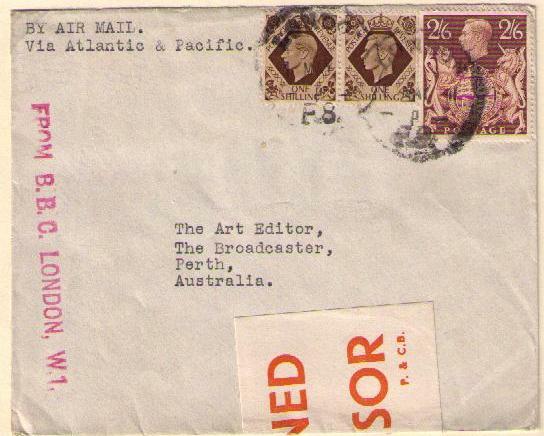 per one-half ounce. 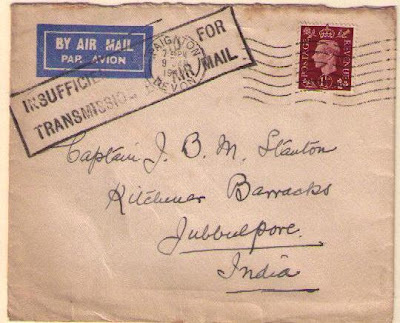 Air service to India was suspended from June 10 to July 2, 1940. 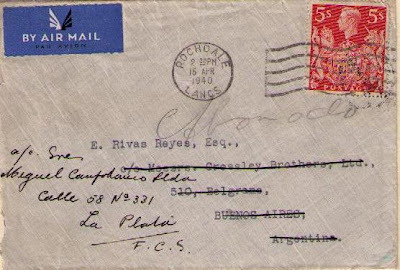 The Horseshoe route service was introduced on July 3, 1940. 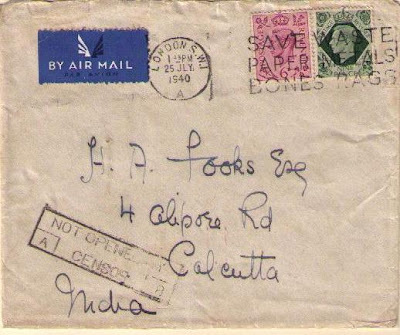 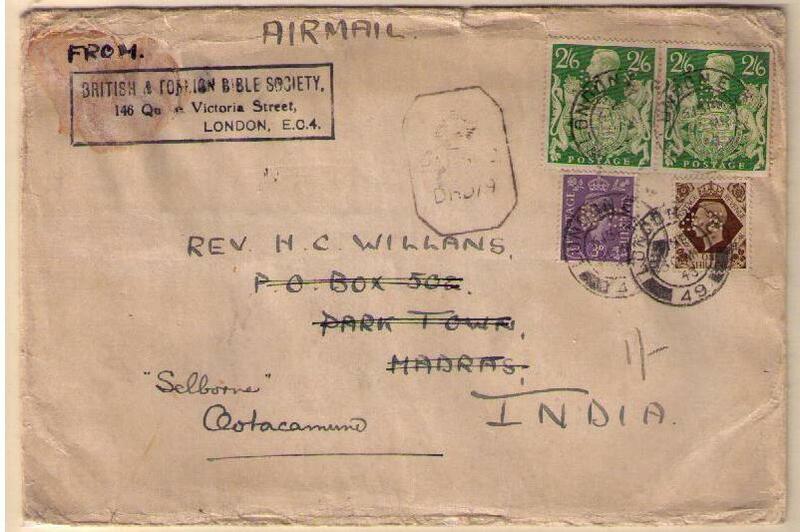 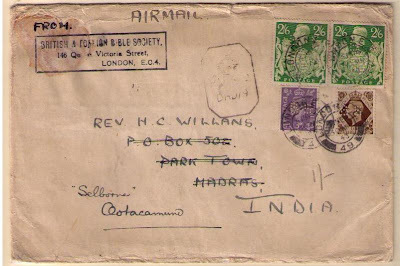 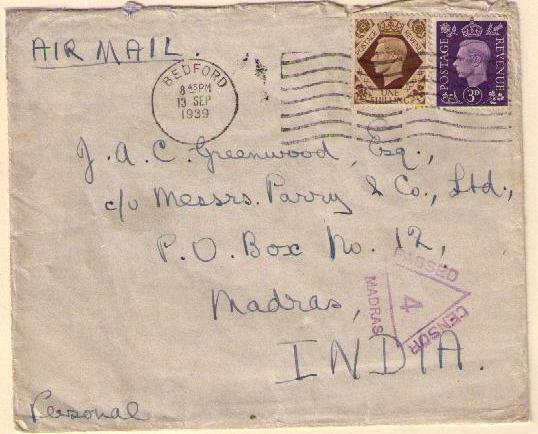 The air mail rate for surface to Durban then by air to India was 1/3d. 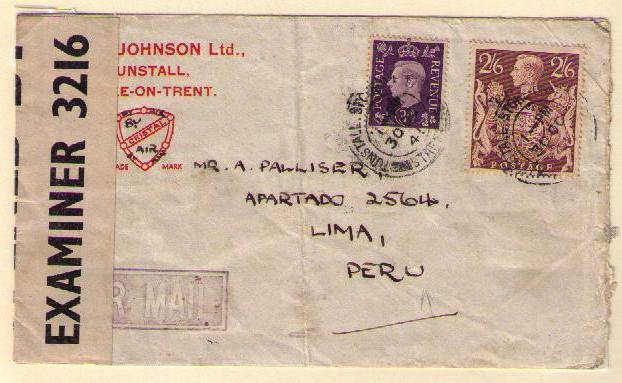 per one-half ounce. 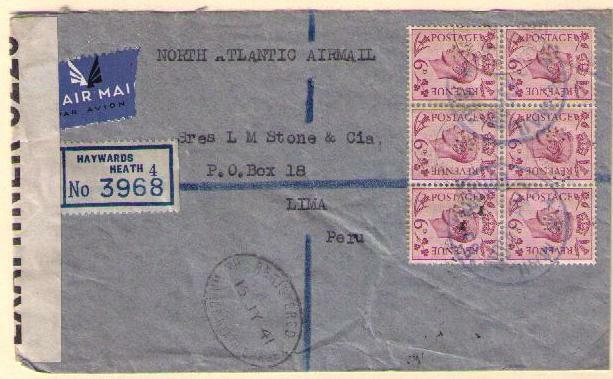 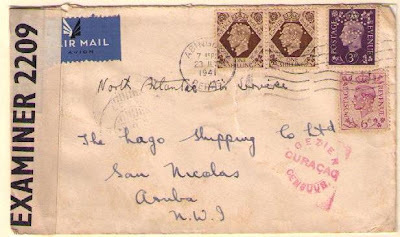 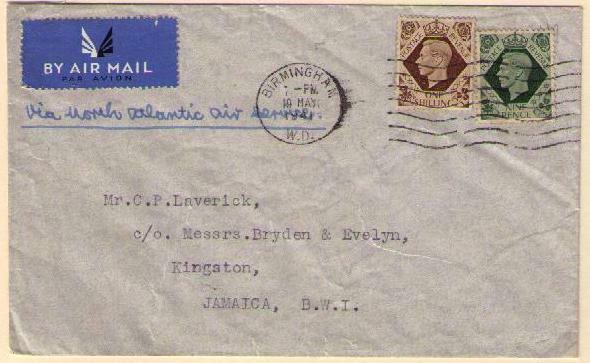 The air mail rate by North Atlantic and Transpacific air services was 5/- per one-half ounce. 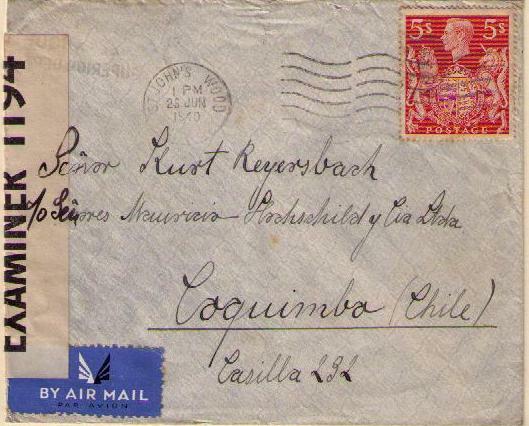 The air mail rate was 1/9d. per 1/2 ounce for air mail service throughout. 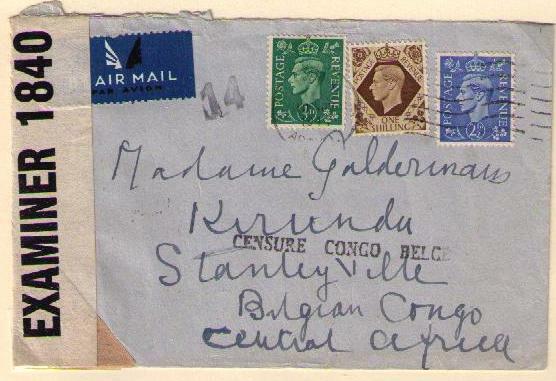 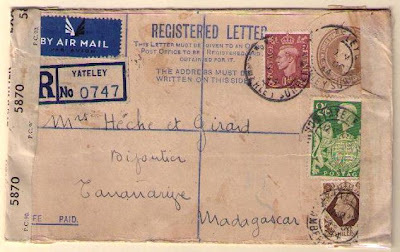 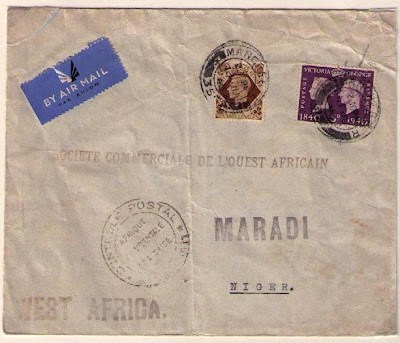 The air mail rate for surface to Durban then by air to Madagascar was 1/3d. 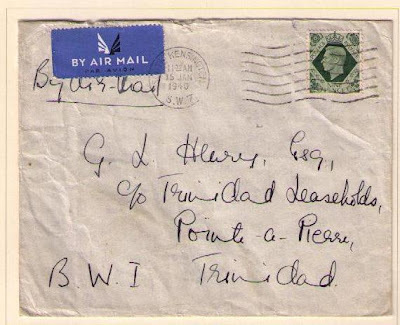 per one-half ounce. 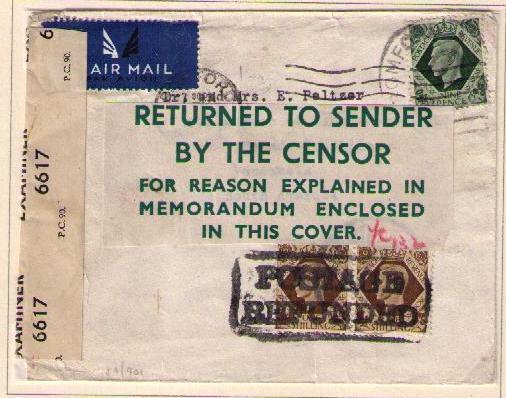 The airmail rate was 9d. 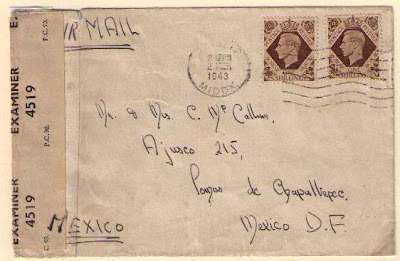 per one-half ounce for surface to New York then air to Mexico. The air mail rate was 2/- for air mail service throughout to Mexico. 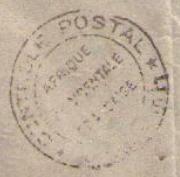 Label from the Swiss Legation certifying that the envelope only contained official correspondence. 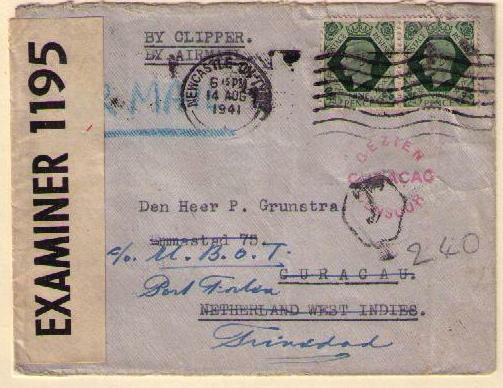 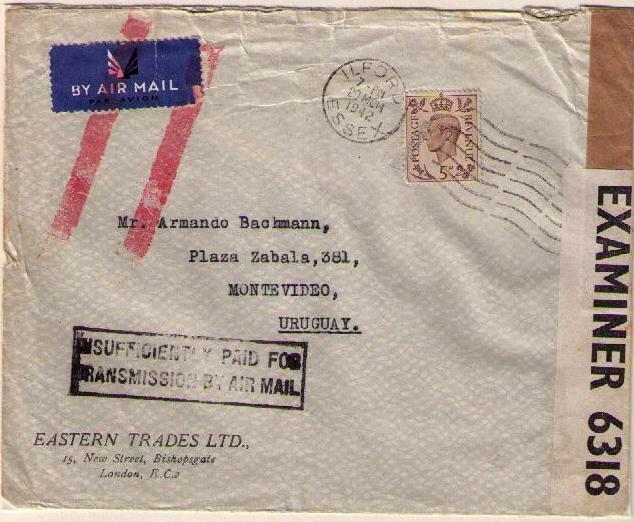 The air mail rate for surface to Durban then by air to the Netherlands East Indies was 1/3d. 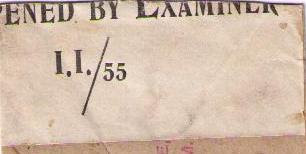 per one-half ounce. 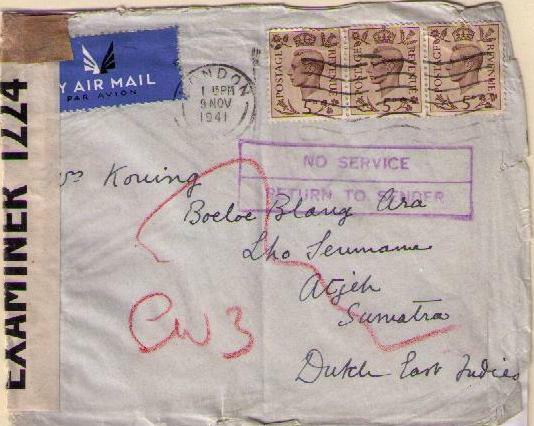 The Japanese had invaded the Netherlands East Indies in December 1941. 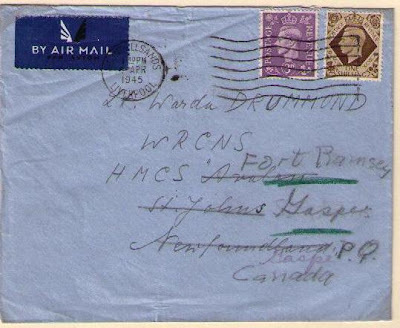 This letter was in transit at that time and was only returned in June, 1942. 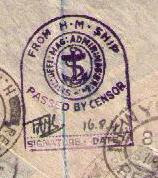 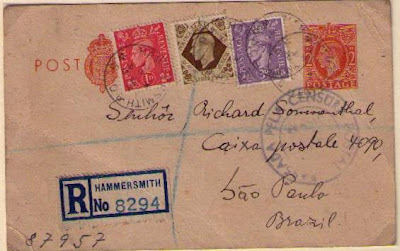 London cancellation, June 25, 1943. 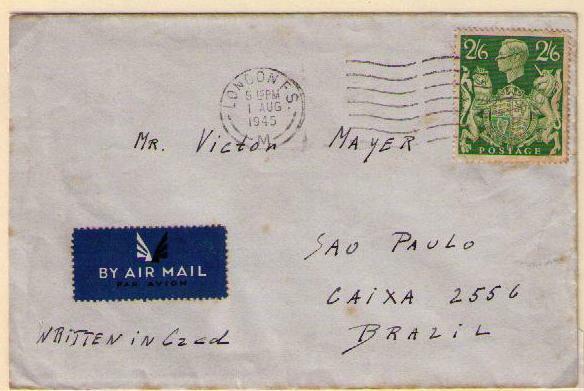 The air mail rate was 2/9d. for air mail service throughout. 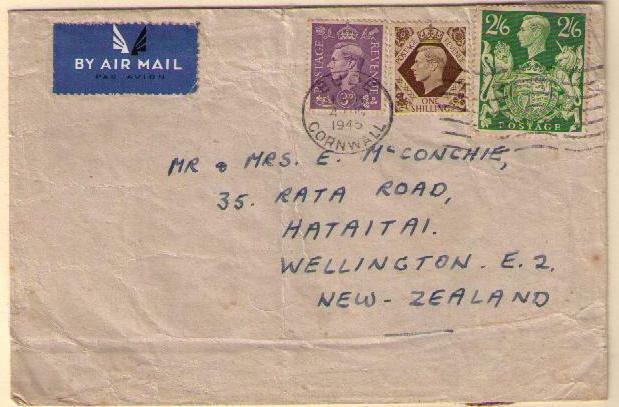 The air mail letter rate was 2/9d. 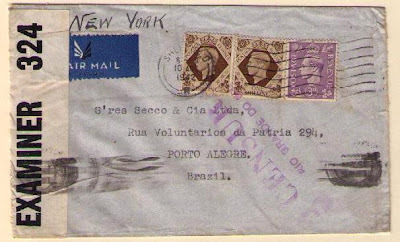 per one-half ounce for air throughout via New York. 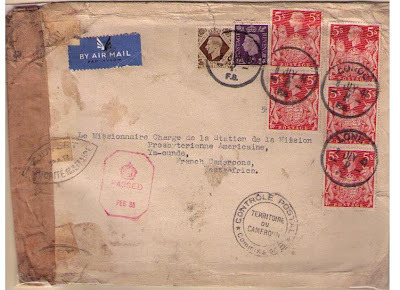 The Governor of St. Pierre and Miquelon remained loyal to the Vichy government of France after the armistice with Germany. Free French forces successfully invaded St. Pierre and Miquelon on December 24,1941. The air mail rate for surface to Durban then by air to the Straits Settlements was 1/3d. 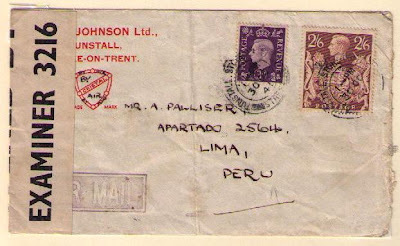 per one-half ounce. 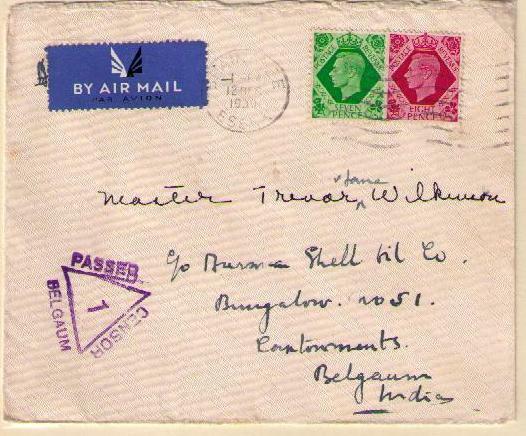 The air mail rate was 9d. 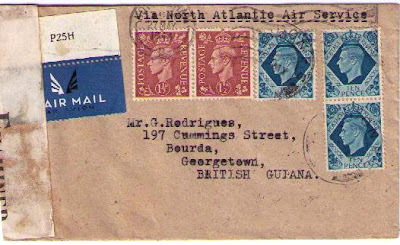 per 1/2 ounce for surface to New York then air service to Trinidad. The air mail rate was 2/- for air service throughout. 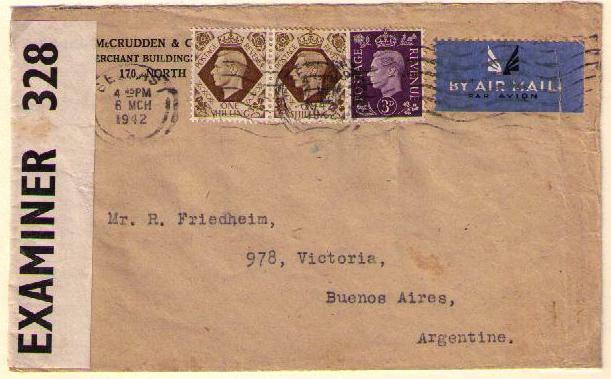 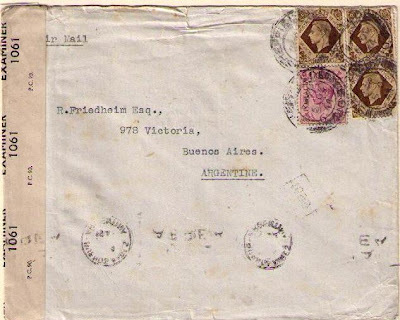 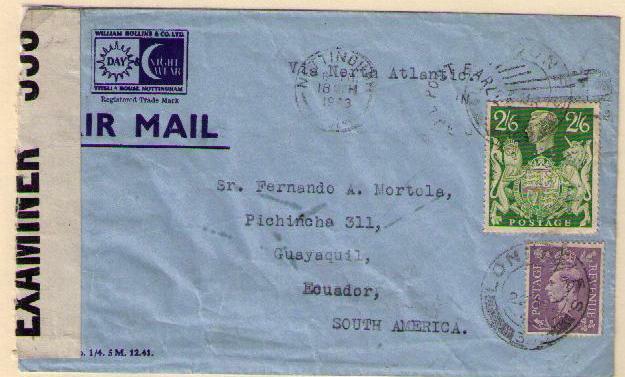 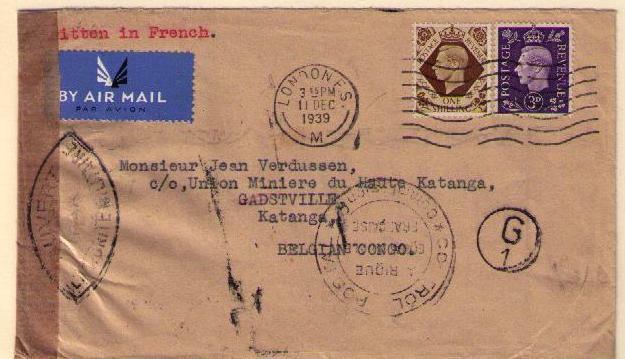 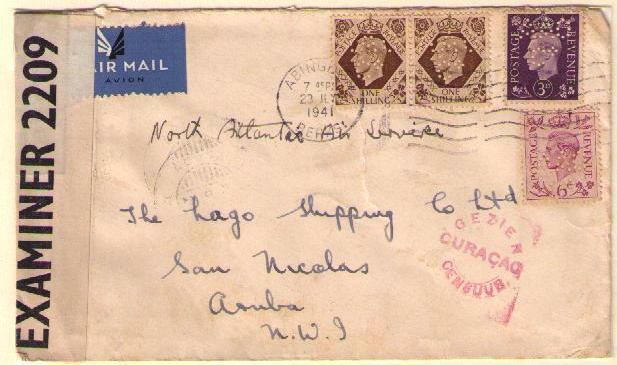 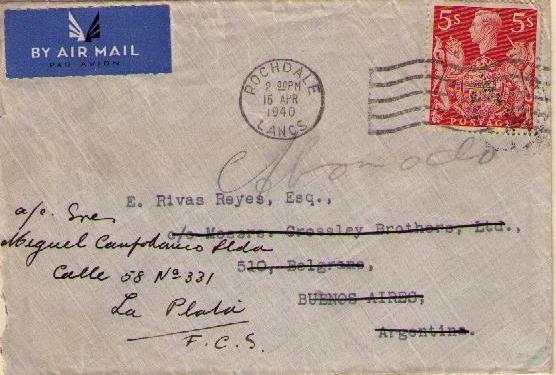 The air mail letter to Uruguay via France was 5/- per one-half ounce. 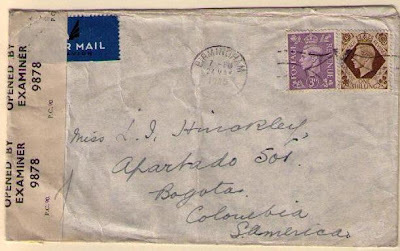 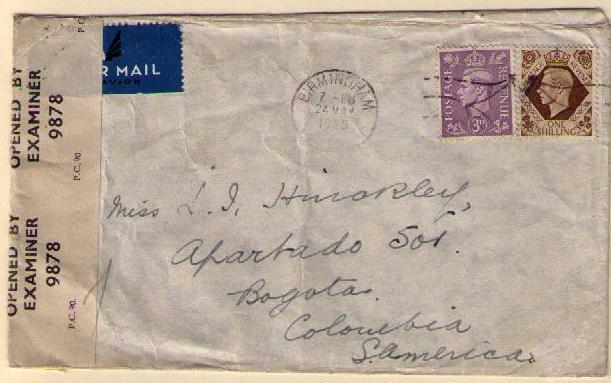 The air mail letter rate to Venezuela was 2/9d. per one-half ounce. You've shared postal cover that's really great. 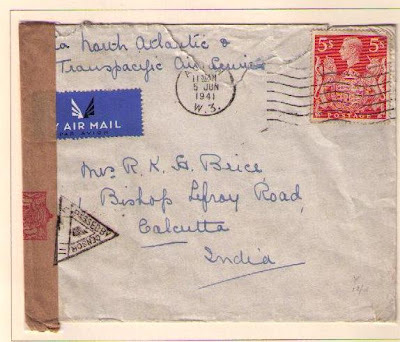 And you have provided information about the postal cover that is very important.